How Far is Verde Residences? Have ever thought how it feels to be residing in the wonderful place loaded with all the lush amenities and features? come and explore the Verde Residences which consist of the apartment for sale in Pune at Kalyani Nagar region. This skillfully crafted project offers you apartments with modern-day amenities to make your life hassle-free, breathe in the wide-open spaces that gets abundant of natural light which creates a feeling of warmth and welcomes each day with new energy. This project provides you with 3BHK apartments for sale in Kalyani Nagar, Pune with super built-up area size 2890 Sq ft, 3010 Sq ft and with more rooms 4BHK apartment for sale in Kalyani Nagar, Its super built-up area is 3735 Sq ft, 4800 Sq ft. If you want to lead your life by buying a home which has a perfect blend of city life along with the calm and subtle surrounding, you are in the right place, at Verde Residences. 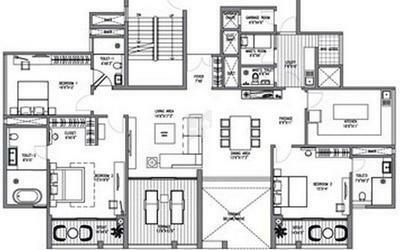 Verde Residences is thoughtfully designed to provide you with a comfortable lifestyle. The project offers an array of amenities to make sure the residents lead a happy life, some of the amenities provide at Verde Residences are Swimming Pool, Library, Parking, Children's Play Area, Rainwater Harvesting system, Parking and more. The Clover Group started its Journey in the year 1974, The name of the Group is inspired by the cloverleaf and 4 leaves of clover signifies hope, faith, love, and luck. The Group is always known for quality and innovation, being in the real estate industry for more than four decades now the group has earned goodwill and trust of the customer. 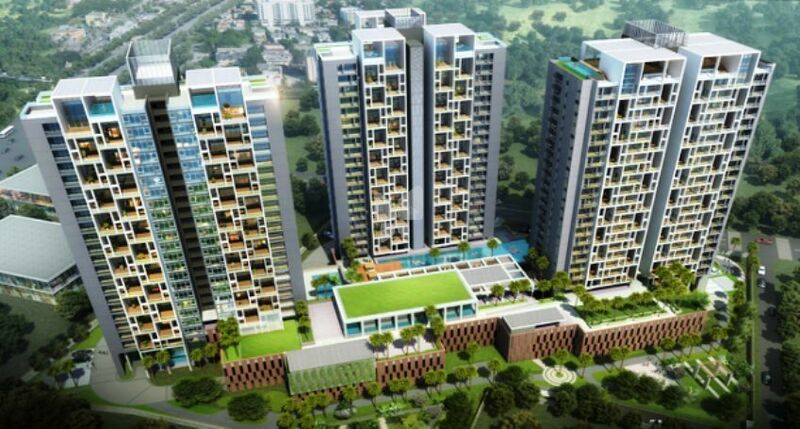 Clover Ashok Meadows is an example to wonderful work done by the Clover Realty Pvt Ltd, the project is located in Pune and it offers 2BHK and 3BHK apartment. The Clover Realty Pvt Ltd has its footprints in many cities like Mumbai, Pune, Lonavala, Khandala and Alibaug, more than 50 projects have been completed successfully which cover 8 million Sq. ft of property. All the projects of Clover Realty Pvt Ltd are constructed with high quality and delivery to clients within the stipulated time and budget. The Clover Group has involved itself in IT and solar photovoltaic projects also and does not forget about the social responsibilities too. Some projects of Clover Realty Pvt Ltd located in Pune are Clover Esperanza in Gultekdi, Verde Residences in Kalyani Nagar, Clover Casablanca in Pimpri Chinchwad, Clover Windermere in Kawade Wasti, Wagholi, Clover Citadel in Wanowrie, Wanwadi and the list goes on.